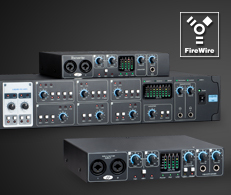 Are Focusrite products compatible with El Capitan? Works with El Capitan? NO. The VRM box is no longer supported. We highly recommend you do not update to El Capitan if you plan to continue using VRM box. Points of note : If you have problems locating your license file please switch to Icon View. The folder may appear empty if you are in List View ot Column View. If your product is not listed, it is not officially supported with OS X El Capitan, you can find full details on our support policy here.